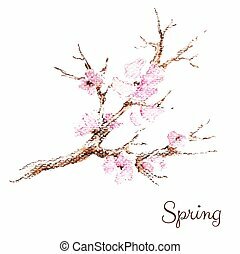 Branch of cherry blossoms. 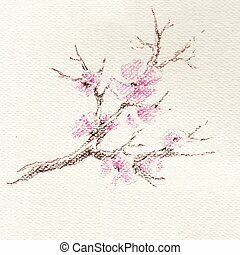 Flowering cherry branch with drops of dew, eps 10, ai, jpeg. 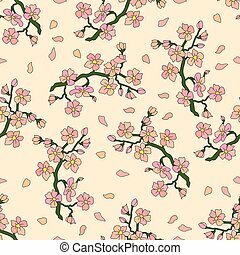 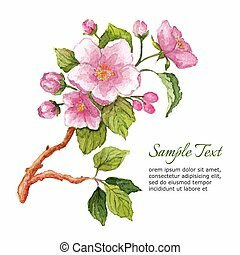 Seamless vector pattern with gentle branch of cherry blossoms. 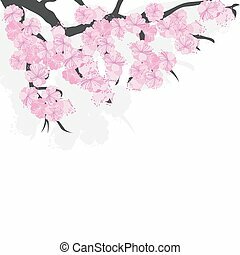 Branch of cherry blossoms. 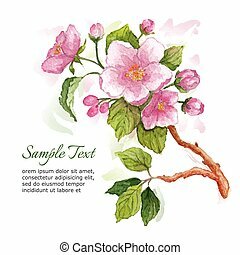 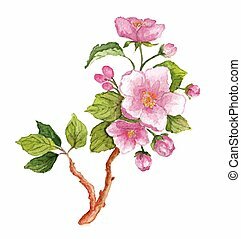 Watercolor spring background for greeting cards, invitations, and other printing projects. 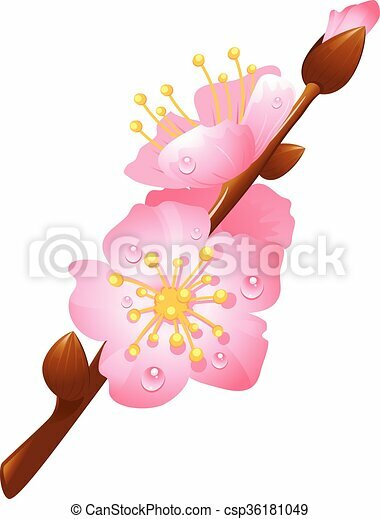 Branch of cherry blossoms and asian woman. 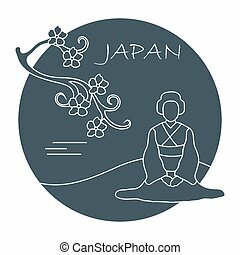 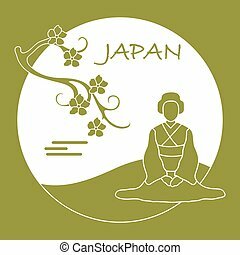 Japan traditional design elements. 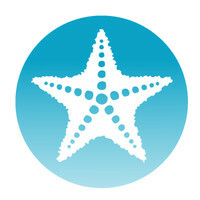 Travel and leisure.